As can be seen the Ramesseum III papyrus scroll (that which is still in existence today) actually consists of various bits and pieces. However, (as luck would have it) at least one of the sections that made mention of Medical Cannabis is still very much intact. [see picture below]. 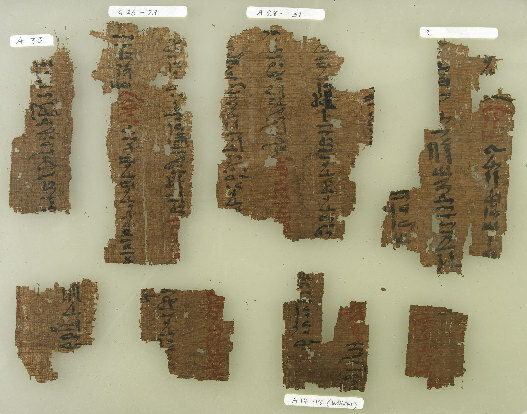 As most Egyptologists put the date of the scroll at around 1,700 BC, this would make it one of the oldest known medical references on the subject. [Part of Plate A26 - Courtesy of the "British Museum of London"